Unfortunately, life throws us a curveball when we least expect it and most often when we are least prepared for it. If you find yourself in need of easy loans, then you have come to the right place. 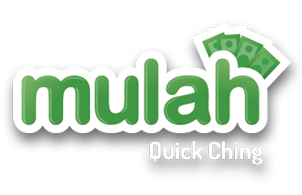 At Mulah, we redefine the meaning of fast loans. Not only are they quick and easy to achieve, but they are offered with your best interests at heart. At Mulah we do not want to tie you into any lengthy and challenging contracts. We want to provide you with the cash you need now – with the intention of having it paid back by your next pay day. If you have tried to apply for a loan with a bank or similar financial institution, you may have found the process to be tedious, time consuming and often disappointing as some strict terms and conditions can be applied. The idea behind quick short term loans is to provide the average man on the street with the opportunity to acquire financial assistance when it is required, without having to struggle for it, and then be tied into a long term and somewhat financially stressful contract. Our loans at Mulah are made absolutely convenient to apply for. In fact there are just 3 easy steps to follow if you choose to register online via our website. For starters, you need to select the loan amount that you require so the system can advise the repayment amount and terms for you.If you are happy with the advised repayment, simply complete the registration form with your personal details and wait to hear from us as to whether your application has been approved or denied. One of the major conveniences offered at Mulah, is that all loans approved before 3pm will be paid out on the very same day and made immediately available to you. This is particularly useful if you require the money for an emergency or late notice unexpected expense. There is also no need to remember to manually repay your loan, as we will set up a debit order to collect the amount from your bank account on your next pay day. 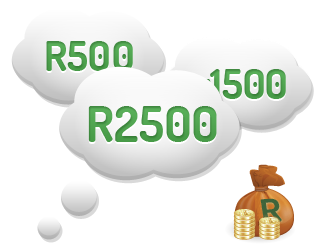 New clients have the opportunity to loan a maximum amount of R2 500 from us. If you wish to renew your loan, the process is treated as a new application, which is quickly and easily completed. Your details will already be saved on the system, which goes a long way to saving time as we will already have your details and information on your payment history / how you handled your previous account. It goes without saying that if you do not have a savings to rely on, then you should have another form of financial security available to bail you out of those difficult life situations should they arise. Fast loans provided by Mulah are the perfect solution to those who need instant cash in a hurry. At Mulah we make it our business to ensure that you are provided with easy loans that are convenient to apply for and that are paid out quickly. We understand that you probably do not have the time to wait around for lengthy application and approval processes, and endeavour to ensure that your application is dealt with promptly and with the utmost discretion and professionalism.